I have been to a great many restaurants around the world claiming Kobe beef on the menu – from $50USD hamburgers in New York City to Kobe shabu shabu in Paris to Kobe beef steak in Singapore. But as it turns out it probably wasn’t Kobe beef? Why? Because Kobe beef is NOT imported outside of Japan. What you were probably having was Wagyu. Also, wagyu is bred in Australia and the US, so the wagyu you are eating is possibly not even of Japanese origin. In these countries, the diet of the Japanese wagyu is fed to the local cattle breeds in order to produce a “wagyu-style” or “American style Kobe” as it is sometimes called, which is intended to be an approximation of the real deal. 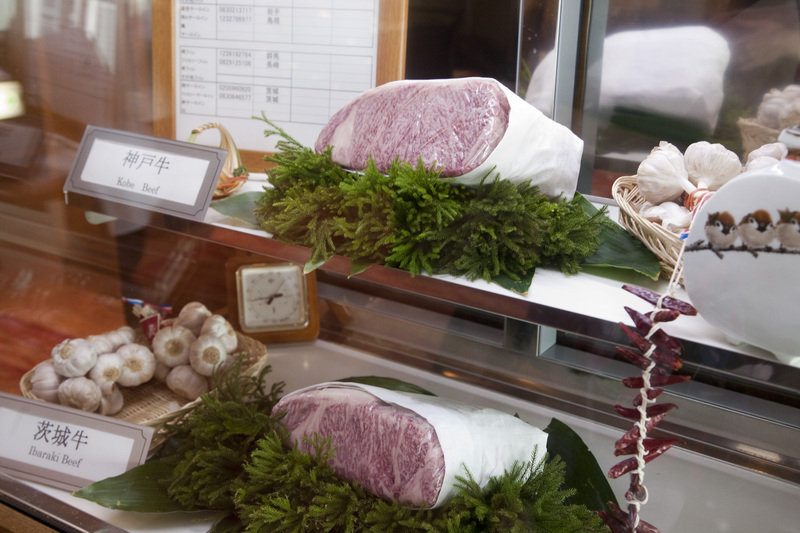 The words “kobe” or “wagyu” nowadays are used merely as a designation of top quality beef. So what to do if you want the real Kobe beef experience? Head to Japan. Or you can go to Macau, which is the only place worldwide that Japan exports to. Now I need to hop on a plane! !